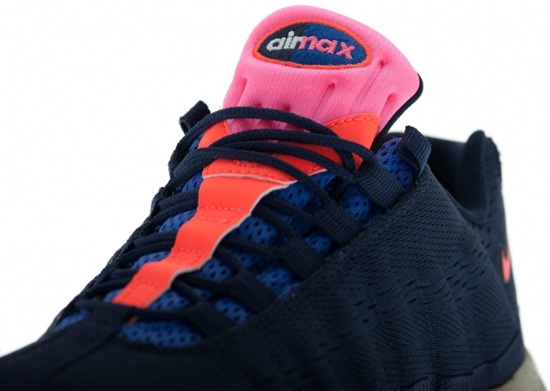 Another Homegrown set of Air Maxes is now available. This is the "Beaches Of Rio" Pack. 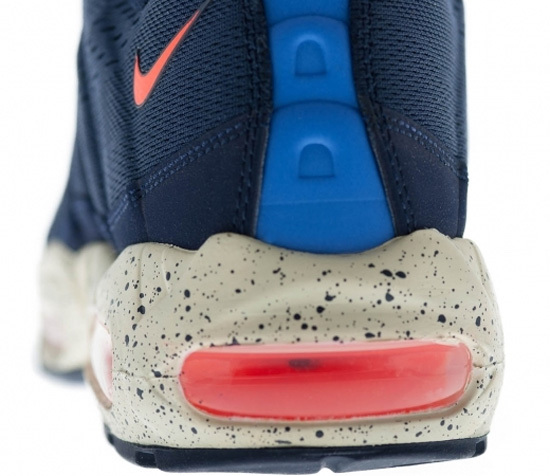 Featuring four Nike Air Maxes all with "EM" engineered mesh uppers and a speckled midsole. 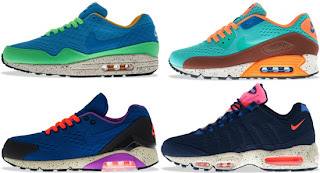 Included in this pack is the Nike Air Max 1 EM, Nike Air Max '90 EM, Nike Air Max 180 EM and the Nike Air Max '95 EM. 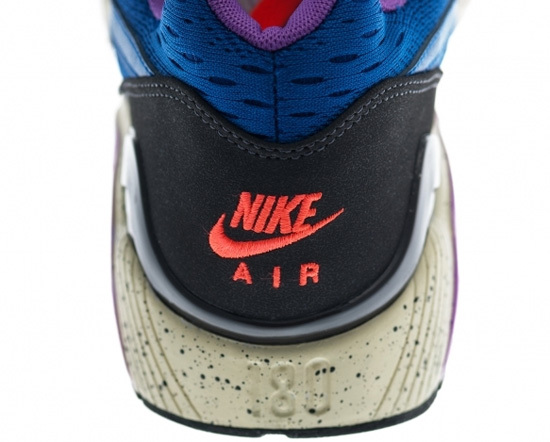 First up, the Nike Air Max 1 EM. 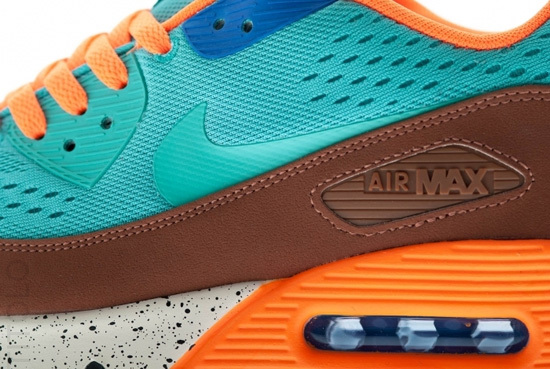 This pair comes in a blitz blue, blitz blue, poison green and beach colorway. 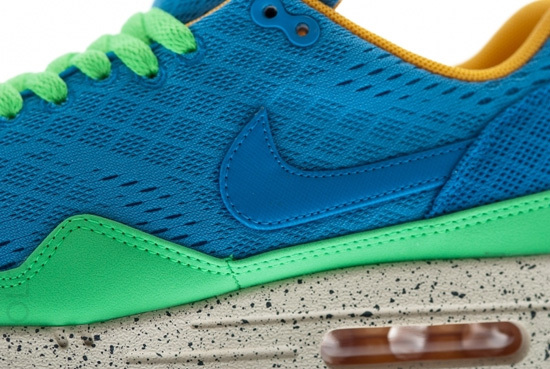 Featuring a blue based engineered mesh upper with green, and beach accents. 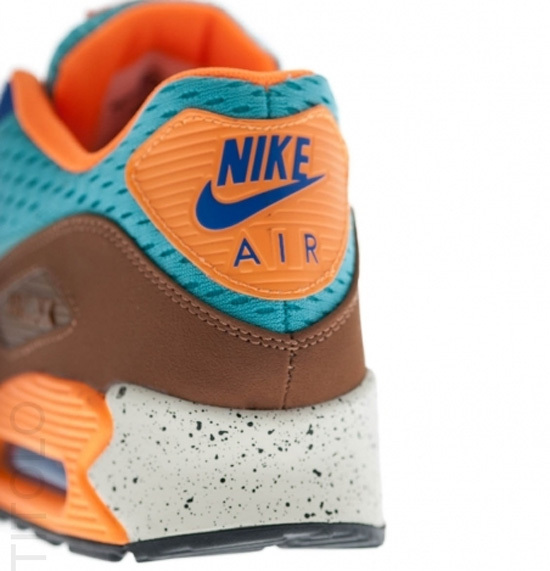 Second, the Nike Air Max '90 EM. 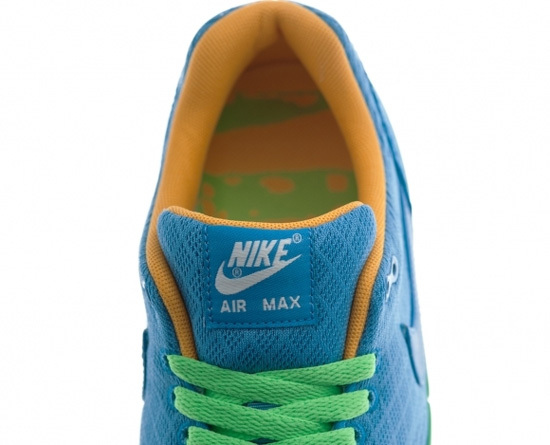 This pair comes in a sport turquoise, sport turquoise, bright citrus and laser purple colorway. 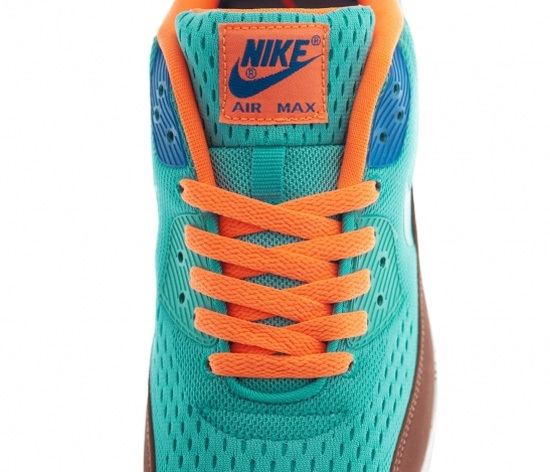 Featuring a turquoise based upper with citrus, purple and brown accents. 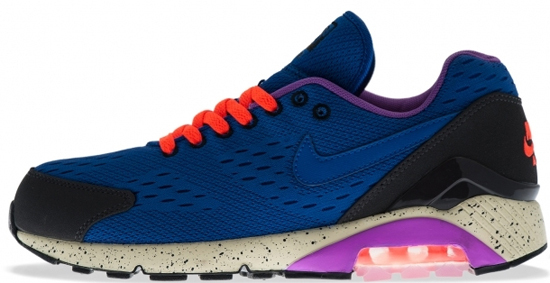 Third, the Nike Air Max 180 EM. 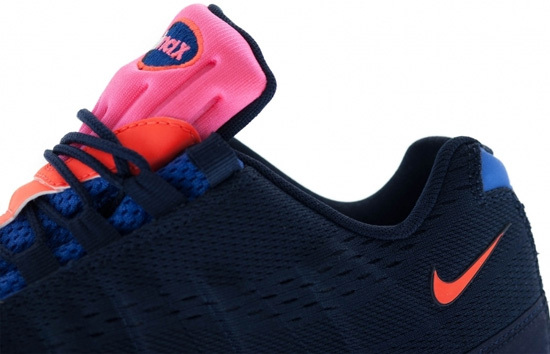 They come in a laser purple, hyper blue, night stadium and beach colorway. 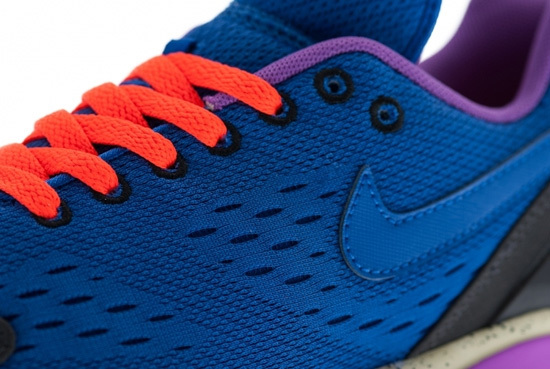 Featuring a purple based upper with hyper blue, night stadium, crimson and beach accents. 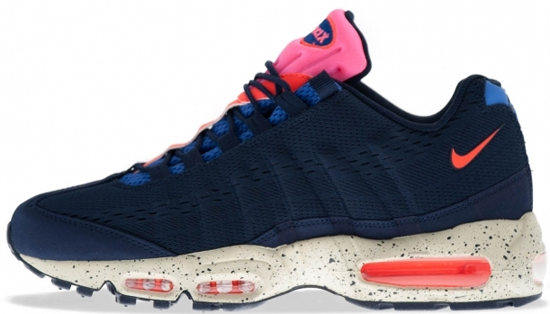 Rounding out the pack is the Nike Air Max '95 EM. They come in a white, total crimson, blackened blue and beach colorway. Featuring a blackened blue based upper with white, crimson and beach accents. 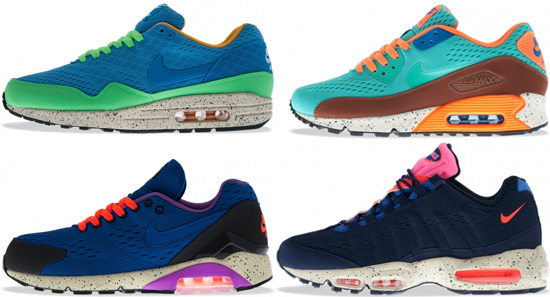 A limited release, the Nike Air Max EM "Beaches Of Rio" Pack was released at select Nike accounts worldwide on Saturday, May 11th, 2013. Retail for the Air Max 1 EM is $110, the Air Max '90 EM and the Air Max 180 EM is $120 while the Air Max '95 EM is set at $160. 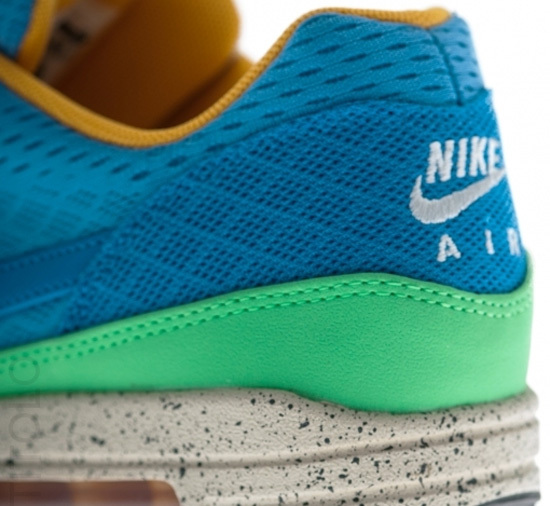 Enjoy the official images of the Nike Air Max EM "Beaches Of Rio" Pack featuring the Nike Air Max 1 EM, Nike Air Max '90 EM, Nike Air Max 180 EM and the Nike Air Max '95 EM below. If you're interested in picking any of these up, be sure to check in with your local spots to see if they received them. Those of you looking for them now can, click here to buy them on eBay. 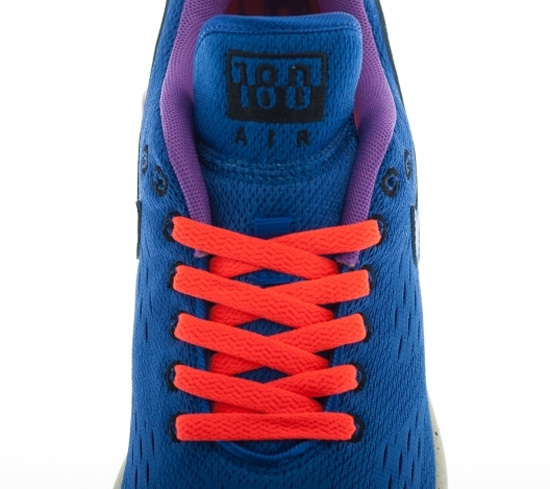 If you're interested in grabbing the Air Max 1 EM now, you can click here to buy them on eBay. 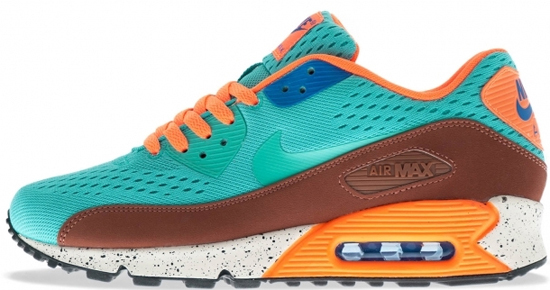 If you're interested in grabbing the Air Max '90 EM now, you can click here to buy them on eBay. If you're interested in grabbing the Air Max 180 EM now, you can click here to buy them on eBay. Lastly, if you're interested in grabbing the Air Max '95 EM now, you can click here to buy them on eBay.